Here’s the trick: We all have insecurities and fears in our relationships that we need help overcoming. When you can help soothe each other’s anxieties about where you stand in the relationship you can avoid eruptions that turn into fights. When we soothe each other, we can feel calm and discuss issues calmly and safely, instead of from a place of fear and reactivity. So basically, you are trying to respond to your partner’s needs and give your partner the chance to respond to you by expressing your needs to them. 1. Recognize your cycle when it happens. This may sound trite, but honestly, just being able to stop yourselves and recognize, “we’re getting caught in our cycle” in the middle of an argument can change everything. All of a sudden you are fighting a common enemy–”the cycle”–instead of each other. 2. Understand what’s driving the cycle. ​It’s not going to help you very much if you can say, “We’re stuck in our cycle right now,” if you don’t know why the cycle is even happening. It’s important to understand what goes on for each of you internally during the cycle. In general, our visible responses (yelling, crying, running away, shutting down, etc.) are being driven by something deeper. This “something” will be different for everyone, but it usually involves feelings of inadequacy, fear of losing your partner, shame, hurt, fear of not being important, embarrassment, loneliness, etc. These feelings are often driven by the most fundamental and important unmet attachment needs of belonging, acceptance, safety, and connection. 3. Learn how to express the emotions driving the cycle when it happens. Instead of continuing to shut down and walk away when your wife starts nagging or yelling, recognize that you are shutting down, ask yourself what you are really feeling (beneath the annoyance and frustration), and communicate that to her. For example, you might be feeling overwhelmed by her nagging because you feel like you’re already doing so much and you don’t need her to add to your to-do list. This “nagging” makes you feel like you’re not doing a good enough job as a husband because she’s not happy, even though you’re trying your best, and this makes you feel inadequate as a husband. It might even make you feel like a failure. That’s a pretty scary place to be. Try sharing the fear of failing as a husband with her, instead of running away from her and your emotions again. And to the “nagging” partner, try to really consider what’s happening for you. ​Are you feeling like he’s not responding to you? Is that why you have to complain? Does it feel like you aren’t being heard in your marriage? How is that making you feel? It might make you worried that when he forgets to do things you ask, it means he isn’t listening to you, which means what you say isn’t important, which means you aren’t important to him. That’s also a pretty scary place to be – to not feel important to your spouse, the person who has committed to love and cherish you forever. Try sharing those fears with him instead of reaching out by nagging. It’ll be a lot easier to respond to each other when you change the way you reach out to get your emotional attachment needs met. Instead of nagging to make sure he hears you, or running away to make sure she chases you, try actually sharing your deep-dark-scary-fears and see what happens. We have found that it’s natural to respond to those we love when we can see and feel their pain with them. If you can access that pain for yourself and share it with your partner, you’ve reached an entirely new level of safety, acceptance, and connection. **Now, that example was pretty stereotypical, and it happens the other way around as well–with the husband nagging and the wife shutting down. And it also happens around different issues. For one couple it might be that one partner is cheating on the diet they are working on together, for another it might be that one partner always has to be right, for another it might be that one can’t keep the house clean, etc. etc. etc. The issue is always unique to the situation, but it always comes back to the same cycle and same underlying emotions, fears, and attachment needs that need to be responded to and soothed. Keep in mind, it may sound like 3 simple steps to changing your relationship, but accessing your underlying emotions is very difficult, and sharing them with your partner can sometimes feel like an insurmountable task because of the vulnerability it requires. Don’t rush the steps. Take your time helping each other figure out what you’re really feeling. You’ll be amazed at the difference it makes in your relationship. According to an article in Today in the Word, soon after Queen Victoria’s marriage to Prince Albert, the couple had a quarrel, whereupon Prince Albert locked himself in his private apartment. Queen Victoria knocked furiously on his door. Ever wondered how some couples fight, but are still so much in love with each other? Here are 23 relationship argument dos and don’ts that can help you. Arguments in a relationship are inevitable for most couples. Of course, there are a few happy couples who rarely argue and understand each other completely. But for the rest of the mere mortals, a petty fight in love over a confusion or a misunderstanding is pretty common. Getting into an argument with your lover doesn’t make you a bad partner, nor does it mean that your relationship is less than perfect. The key to dealing with difficult emotions like anger, confusion, fear, loneliness, and sadness is mindfulness. Practicing mindfulness enables you to calm down and soothe yourself. When you’re calm, you have space to reflect and thoughtfully respond, rather than react. 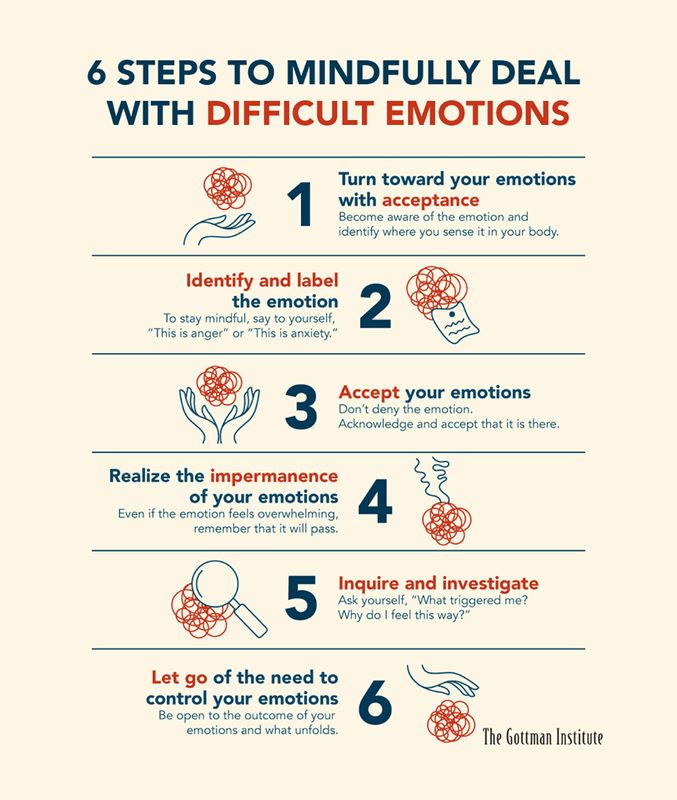 Following these six steps will help you to understand and deal with your difficult emotions in a mindful way. Mindfully dealing with emotions is hard and it takes time. Be kind, compassionate, and patient with yourself and your partner.